Last week during Holy Week, God called home one of his followers, Dennis Kinlaw (June 26, 1922—Monday, April 10). (Read the announcement here.) During the 1970’s and 80’s, Dr. Kinlaw served as the president of Asbury College, a Christian liberal arts school with roots in the Wesleyan Holiness tradition. Soon after he became president (in 1970), an extraordinary spiritual revival broke out at the college, which had reverberations far beyond the small town of Wilmore, Kentucky. Dr. Kinlaw was Old Testament scholar, who began teaching at Asbury College and Seminary after studying at Princeton, Edinburgh, and Brandeis. He wrote several books including one on Old Testament theology and one on preaching in the Spirit. It is as a preacher he will probably be best remembered. I am one of thousands who can clearly remember his rich baritone voice with its rural North Carolina drawl and his big hands waving in the air to emphasize his points or tapping on the pulpit while he waited for God’s truth to sink in. 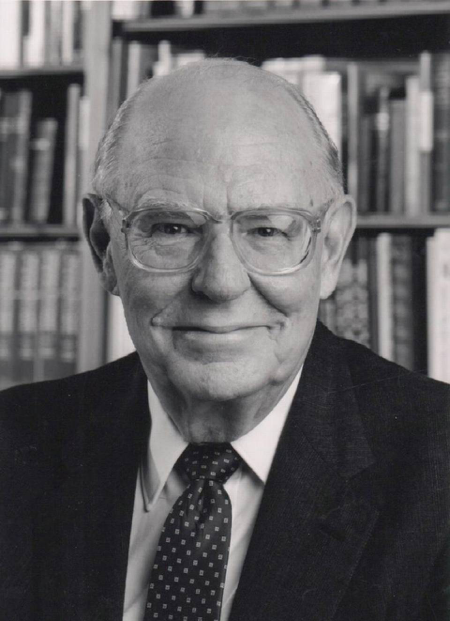 In rural churches, camp meetings, and college chapels, Dr. Kinlaw drew on the wealth of his biblical knowledge, the depth of his theological insight, and the sincerity of personal experience to bring messages that made known God’s heart of self-giving love and called his hearers to surrender to God so they could live lives that reflected God’s love. God spoke to me through those sermons (many on cassette tapes kept in a shoe box in the garage) calling me to himself and to the life he desires for me. It’s hard for me to describe the extent of Dr. Kinlaw’s influencein my life. At least indirectly, Dr. Kinlaw is the reason my graduate studies were in Old Testament. When I think of myself as a Christian scholar, there is no other role model who has taught me as much what it means to love God with all my mind. When I think about my Wesleyan heritage, I’m primarily thinking of the way Dr. Kinlaw presented the love of God and the life of love God calls us to. One biblical phrase Dr. Kinlaw used time and time again to call to Christians to Christ-like holiness was Paul’s appeal to the Philippian Christians: “Let this same mind be in you which was also in Christ Jesus” (Phil 2:5). In his book, The Mind of Christ, Dr. Kinlaw explained, “To have ‘the mind of Christ’ is to have his perspective, his attitude, his affections, his priorities.” Like Christ, each of us should “look not his own interests but to the interests of others” (Phil 2:4; Dr. Kinlaw would point out that the Greek did not say, “look not only to his own interests”). What Paul commanded, Christ through the Holy Spirit can accomplish. Dr. Kinlaw preached that every Christian can have the mind of Christ. His sermons left his hearers with a hunger to live a Christ-like life of self-giving love, and his life left those who were blessed to know him with evidence that it’s possible. Joe teaches Bible, literature, and hermeneutics. He is a graduate of Fuller Seminary, Asbury Seminary, Asbury University, and the Rift Valley Academy. Joe and his wife Conchie have three children: Kip, William, and Laurel. Read more about Joe here.